Looking for a home decor theme for one of your rooms. 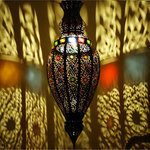 How about the exotic look of a Moroccan style decor? 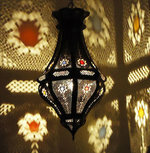 There's nothing quite like well crafted Moroccan lamps. 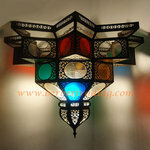 Moroccan lamps are well knows for the intricate and colorful designs the world over. 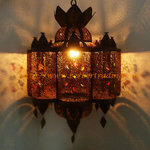 There are many types of Moroccan lamps available - floor lamps, Moroccan ceiling lamps, table lamps, and of course the every popular Moroccan chandeliers. 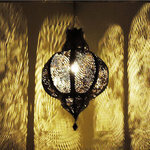 Moroccan lighting has always been unique and any Moroccan themed room would not be complete without an Aladdin Lamp. These lamps are so affordable and make wonderful party gifts.